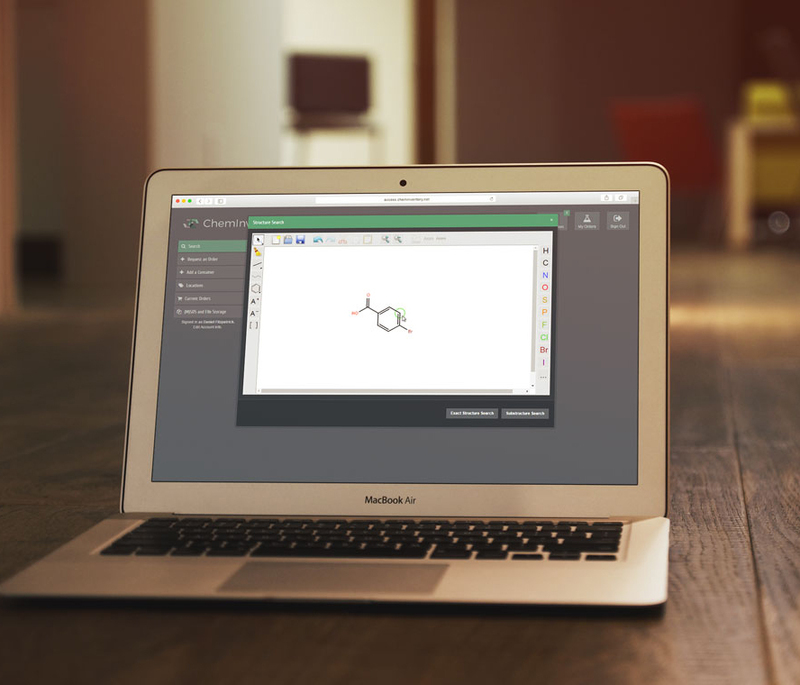 ChemInventory is platform-independent, so it works on Windows PCs, Macs and Linux computers. You can even sign in on an iPad or iPhone. Long gone are the days of having your inventory tied to one computer in your lab. 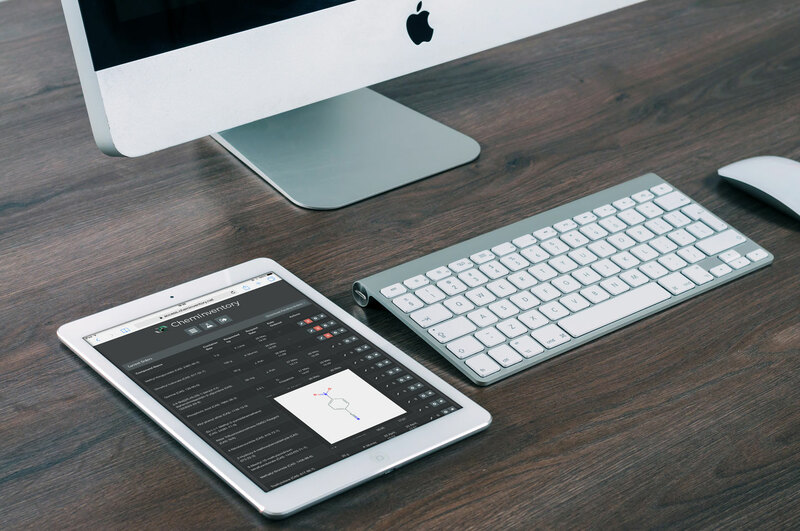 Our software is based in the cloud and accessed through a web browser - you'll never need to worry about installing or maintaining inventory-specific software on your computer. Chemical structures are automatically assigned to containers as soon as they are added to your inventory. Our search algorithms allow you to search for compounds by chemical structure in addition to name, CAS, container barcode or any number of your own custom fields. If you know precisely what structure you're after, our exact search will find all matching containers for you. Perfect for method development projects, you can easily search by molecular fragment or functional group. Adding an in-house made compound? No worries - it's simple to draw your own structures for substances. We've designed our structure matching algorithm to be fast. It takes a fraction of a second to search thousands of containers. 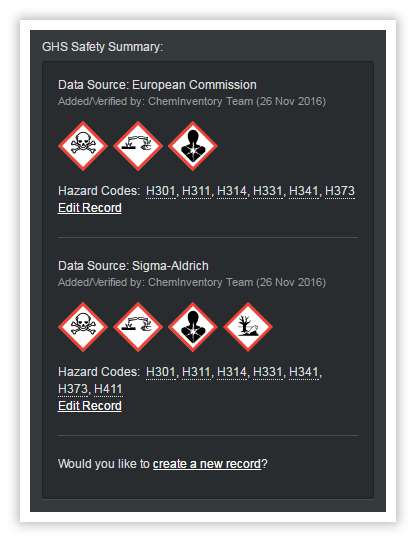 ChemInventory brings together multiple sources of GHS data to give you an up-to-date snapshot of a chemical's known hazards. You can view hazard definitions, precaution codes and descriptions, GHS pictograms and more. This information is displayed prominently to users when they add containers, request orders and view container information - promoting safe practice in your laboratories. ChemInventory lets you upload and store files securely on our servers. All file types are supported, and uploaded files can be downloaded from any device - right from search results. Store (M)SDS documents, lab procedures, compound spectra, certificates of analysis, invoices and more. With up to 10 GB of storage space dedicated to your group, you'll never run out of room for spectrum files, lab procedures or safety documents. Files can be linked to the substances in your chemical inventory, making it simple for your group members to find relevant documentation. Your files can be downloaded by your group members straight from search results on any device, no matter where they are. Our highest priority is ensuring that your data stays secure. In addition to browser-based SSL encryption, information on our servers is encrypted using the industry standard AES-256 algorithm. 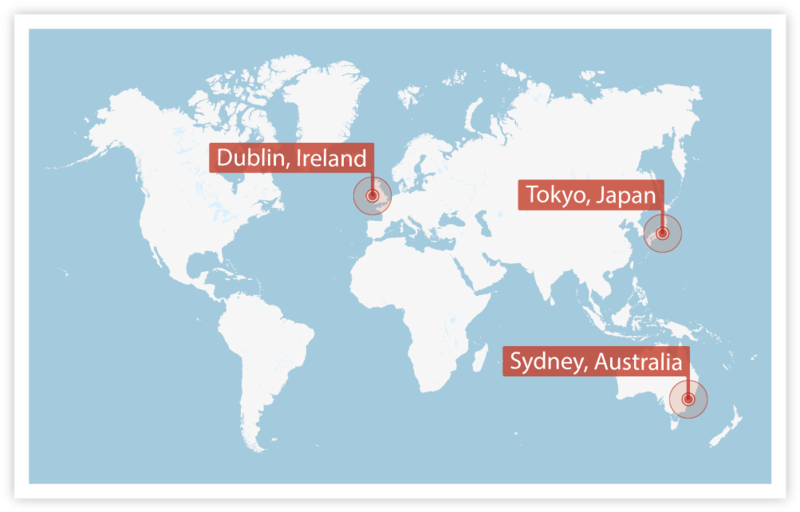 We backup our databases every day, and store encrypted replicas across three global regions. We firmly believe that privacy is just as important as security. That's why you retain full ownership of all data you upload to our servers. We'll never sell your information to third parties. Looking to track container locations and compound usage? Unique barcodes can be assigned to containers when they're added to your inventory. 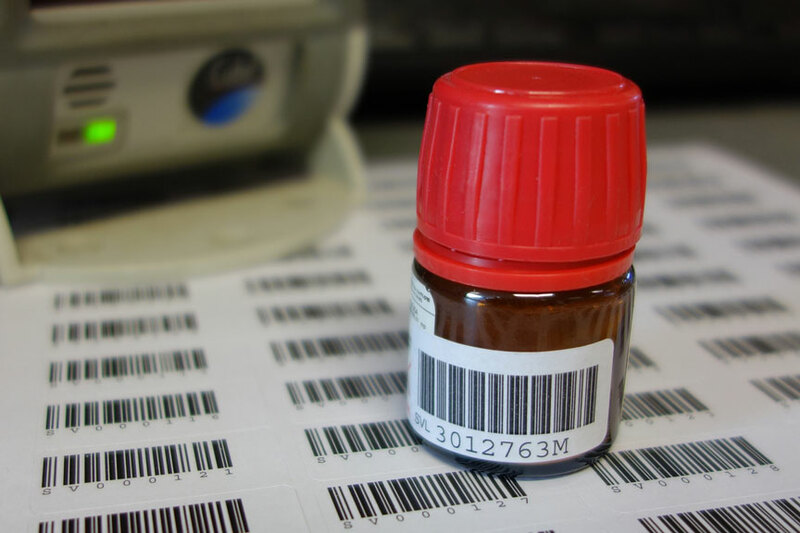 This barcode stays with the container for its life and acts as a unique reference when carrying out laboratory tasks such as stocktaking. Our barcode generation tool simplifies the creation of both 1D and 2D barcodes, producing pages of barcodes suitable for printing onto label sheets. This tool checks for existing barcodes in your inventory, preventing the same barcode being assigned to more than one container. Groups using ChemInventory can share their inventories with each other. When searching for containers users see results from both their own inventory and those shared. You have full control over how other groups see your inventory, with three levels of sharing possible (Full, Restricted and None). These settings change the amount of information shown to members of other groups in search results. Our watchlist tool lets you generate reports detailing the sizes and locations of containers which hold substances on pre-defined watchlists. This feature makes it easy for laboratories to meet their obligations under chemical compliance legislation in a variety of countries. We maintain watchlists for prominent regulations such as the DHS Appendix A reporting requirements in the United States or REACH in the European Union. You can also create your own custom watchlists if your country or organization requires you to report under regulations not included under global watchlists. Our order pages operate alongside your organization's ordering system, allowing group members to request orders through an order page. You can check and approve orders (or nominate other group members to do so), giving you complete control of spending and an overview of your group's chemical requirements. Containers on order can be seen by all group members and they appear in search results, eliminating the risk of duplicate orders. A container record is created as soon as an order is requested, ensuring that all containers appear in your inventory when delivered. 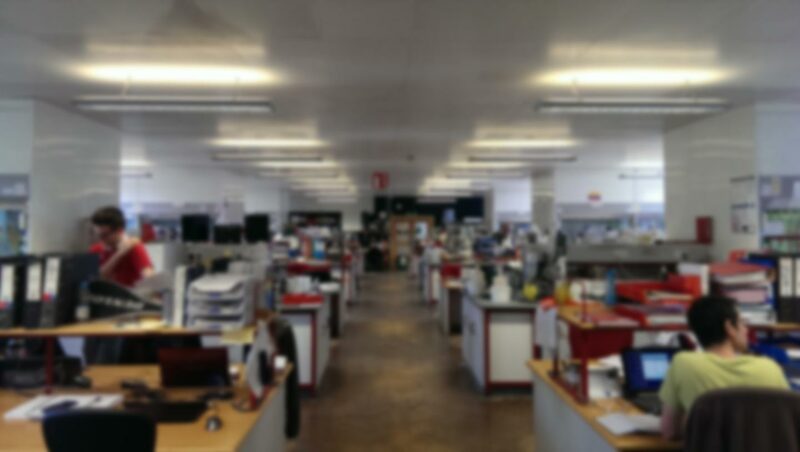 Creating an account for your laboratory couldn't be easier - it only takes a minute to sign up. Our easy import tool will help you get your current inventory in the cloud. Just populate our Excel template with your data and upload it. Or email it to us, and we'll import it for you.